We continue to say that the airlines had no intention of these almost daily Hawaii fare wars across so many routes. There are $187 to just over $200 deals from cities located up to nearly 5,000 miles away. Fly on 15 routes from 4 cities to all of the major Hawaiian Islands. Today again, we have a totally unpublished sale with some of the best prices seen in years. These sales result from reciprocal attacks by American and Delta on each other’s mainland hubs. 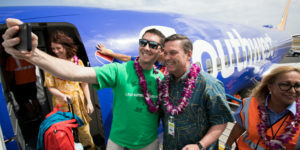 That together with Hawaiian Airlines reasserting itself once again on a likely new nonstop route from Phoenix to Maui. Take advantage of all of this today, then get to Hawaii this summer and fall! 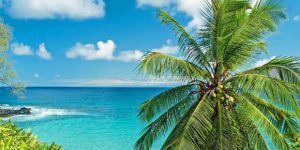 There are still so many incredible deals on tap for 2018/2019 Hawaii vacations! Hold on to your hats Hawaii fans. And be sure to get all our deals when they happen – subscribe to our free email updates. Also find out where Southwest Hawaii fits in. Airlines: American Airlines, Hawaiian Airlines. Fares: Each-way including all taxes and fees. Round trip generally not required. Availability: Overall from July until December 2018, with great variability by route. Sometimes deals can be found only a few times monthly, and other times very frequently. You’ll need to scour to find some of these. Book by: Immediately, as this is an unpublished sale that could end at any time. How to Book: Use links below. Online booking only. You cannot call the airlines to get these deals. Stops: Some of these are nonstop while others require stops en route. Atlanta to Kona: $197-$202 on American Airlines. Atlanta to Honolulu: $199-$202 on American Airlines. Atlanta to Lihue: $203-$209 on American Airlines. Atlanta to Maui: $202-$204 on American Airlines. Detroit to Honolulu: $202-$207 on American Airlines. Detroit to Kauai: $201-$208 on American Airlines. Detroit to Kona: $198-$207 on American Airlines. Detroit to Maui: $202-$204 on American Airlines. Minneapolis to Honolulu: $202-$210 on American Airlines. Minneapolis to Kona: $198-$208 on American Airlines. Minneapolis to Lihue: $204-$211 on American Airlines. Minneapolis to Maui: $202-$210 on American Airlines. Phoenix to Honolulu $216 on American Airlines. Phoenix to Kauai $195 on American Airlines. Phoenix to Maui $187 on Hawaiian Airlines. Mahalo for the email alerts! I purchased yesterday & got Minneapolis to Kona, $405 in August! Today, the same dates are $1100.. Beat of Hawaii is the best travel site for information to the islands!!! Glad that worked out and thanks for letting us know! I wondered why the fares from Hawaii to the mainland are not equally low. ? Aloha! I also just found this website, and love all the great info…Mahalo! When in the world are there going to be flights to Hawaii ( any island) from SNA ( Orange County)? Honestly we have heard nothing concrete about flights other than that people want them. There are logistical issues for sure which seem to keep it from becoming a reality. do you see it coming down or hold out to see what SWA dose. On the nonstop, it doesn’t look good. Monopoly there until perhaps Hawaiian steps in. 🙂 One-stop is likely to have target in mid $400’s and might be available about 90 days before. other airliner not much lower. i’ll hold out a little longer, maybe SWA will save me! In our last comment we suggested you look about 90 days out. Not now. Hi, we are traveling to KOA 11/5-11/12 for a wedding. Prices rights now are about $650. I’m wondering if you think prices will drop even lower! I see pricing in the $500s through October. Love the site and so glad I stumbled upon it, thanks! Prices are close to $800 RT on your dates with good connections. The $500’s are with enormously long connections and those are available for your dates as well. That is a 22 hour travel time instead of a good connection which is about half that long. Target for your dates is probably about $700 with good connection, which might happen over next few months. Availability should not become an issue by waiting, which is in your favor. Your outbound date is a little challenging what with the New Year holiday occurring mid-week. Not sure how it will quite end up in terms of how high season that will be. The good thing is that holiday itself usually isn’t as popular as surrounding days. That will help too with availability. Your return should be fine for both availability and optimal pricing. Gut call on this is to wait until about September/October. Target price (if it all works as we hope) is low $400’s. That’s about a $250 savings over current nonstop pricing. Let us know how it ends up. 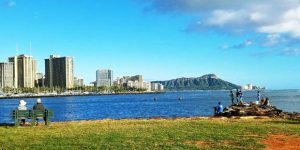 Flying from SAN or LAX to HNL Jan 1, 2019 and returning the 13/14. Prices are high right now. Do you think they’ll drop back down to the low $500s? Or will the tickets sell out and I should buy now? I’m looking to travel to Hawaii from Ft Laud. late Oct. Do you know of any deals around that time? I’m looking to fly to Maui some time in the fall from either Sacramento or San Jose. Will this be the cheapest period after summer this year? Minneapolis to Kona: $187 on American Airlines. When I searched it came back $1000. How can I find this price (dates)? Thank you. $187 no longer available, but some dates still in low $200’s each way. What dates are you trying to find? Pretty flexible, so which ever are the cheapest (staying about 4-5 days). Late June or in July. Thanks! As days have gone by, prices have changed. So now mid-week early July is $514RT. Still an unexpected great price. I am looking to fly DEC 20-DEC 30th from Seattle to Maui. Thank you so much!!! First time going with family and trying to find the best deals. So expensive! I heard it is cheapest 60 days before which will be June 20th. Is this true? For nonstop it will be about $1200 RT. That probably won’t go down and could become unavailable. Your dates are among the most in demand, and thus expensive, of the year. Suggest either buying now or planning for a less expensive time. In the fall, for example, the same trip might cost less than 1/3. 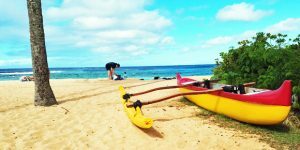 Here’s the best information we have for planning your 1/19 trip: https://beatofhawaii.com/the-cheapest-time-to-fly-to-hawaii/. And yet, the flights I’m looking at on Hawaiian are more than $700 each from SMF (Sacramento) to KOA for October. Flying out on a Monday, flying home on a Sunday and not near the Ironman dates. For the first time in over 20 years, Hawaiian has lost my business if they don’t come down in price. You might check flights out of Oakland. We fly OAK to LIH now. Flights are about $100 cheaper per ticket.Rented a car to OAK and booked return to SMF. I have a tripped planned to Maui March 8th – March 15th of next year. When is the best time to purchase airfare? 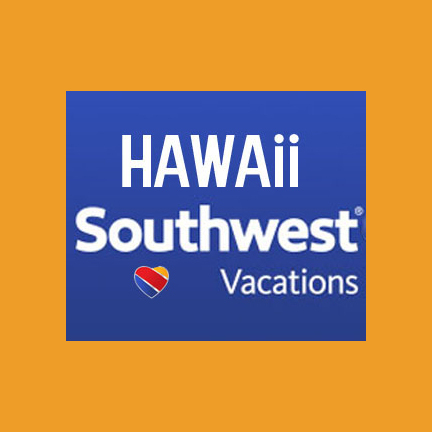 Here’s the best information we have for planning your 3/19 trip: https://beatofhawaii.com/the-cheapest-time-to-fly-to-hawaii/.